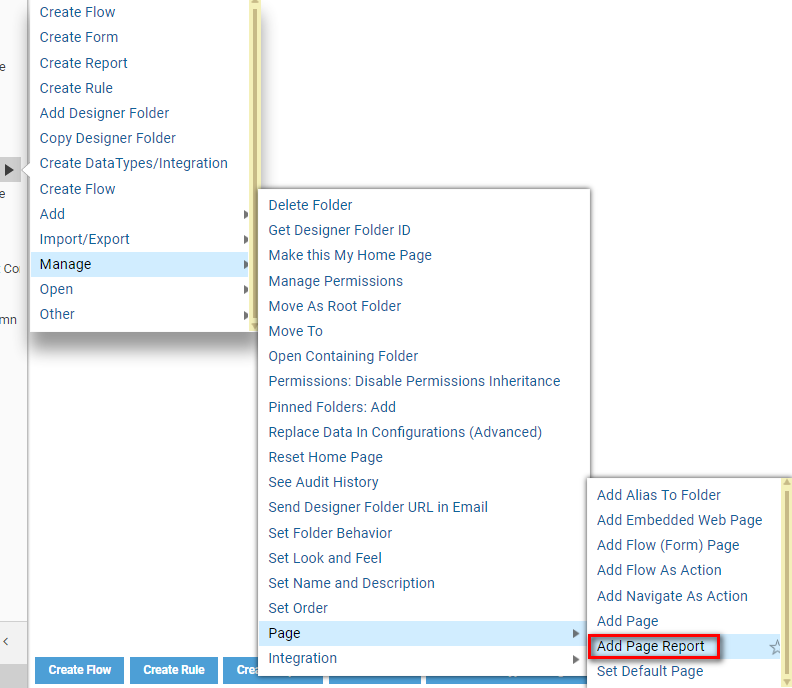 This tutorial demonstrates how to use Add Page Report	action on Folder	in Decisions Portal . 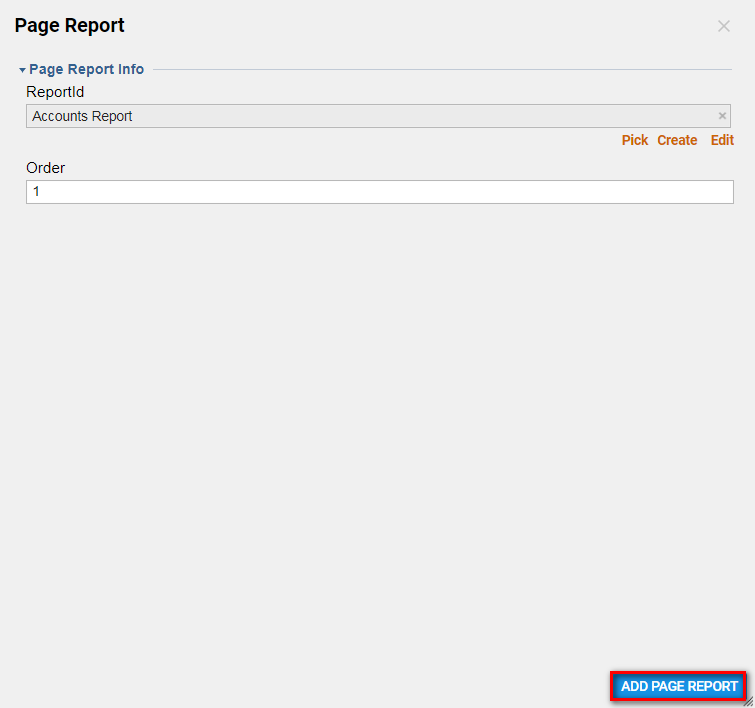 Add Page Report	action changes default Report on Folder View Page	. In this example we are going to use simple custom Report to change default Folder Entities Report on Folder View Page. Note:	this tutorial does not demonstrate how to create a Report. To learn how to build your first Report in Decisions, please click here . 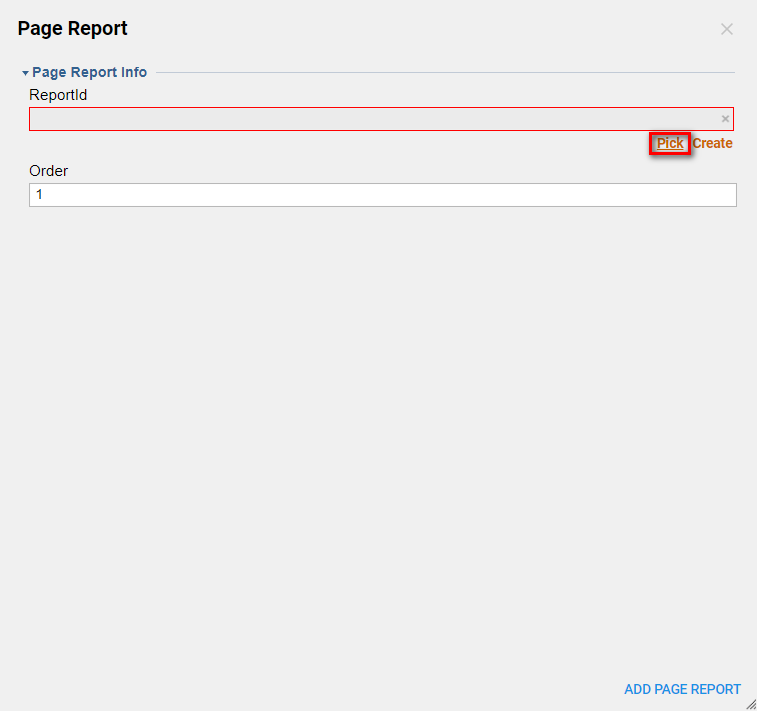 Add Page Report will change Report	displayed on Folder View	Page . By default it is All Folder Entities Report. We begin with clicking Manage > Page > Add Page Report	from Folder Actions. 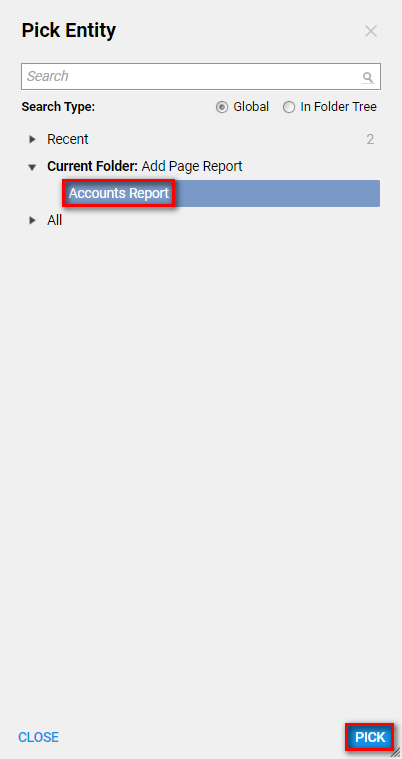 In the Page Report	window we locate Page Report Info	settings and click Pick under ReportId	option. Next, we pick our Report	and click Ok	to continue. Our Report is set. We can click Ok	to save and continue. Now, our Folder View	displays Accounts Report	.